Earlier this week, Australian developers and industry professionals were recognised and awarded for their continued effort and contributions to Australia’s game development industry. The Australian Game Developer Awards (AGDA) is an annual celebration of the homegrown talent in Australia’s games industry. This year, the event was held at St Kilda Town Hall in Melbourne as part of Melbourne International Games Week (MIGW). Each winner was selected by the Game Developers’ Association of Australia. The team behind the critically acclaimed Hollow Knight took out one of the top prizes of the night. A second win for Team Cherry at the awards, with the the Adelaide-based studio also taking home Game of the Year for Hollow Knight at AGDA 2017. 2018 was a good year for Team Cherry. Not only was Hollow Knight ported to the Nintendo Switch but the game also gained a wave of new fans in the process, helping Hollow Knight sell over 250 000 copies on the platform in its first two weeks on the Nintendo eShop. A single-player adventure-puzzle game about the enduring power of friendship won this year’s big prize. Released last month by developer The Voxel Agents, The Gardens Between tells a compelling and relaxing story about two friends. While exploring vibrant garden islands, the friends experience a journey that not only makes them reflect on their own friendship but their memories together as well. With the intention of connecting with all types of players, the story and gameplay aims to present a genuine story that will connect with all on a personal level. What does this mean for the Australian games industry? 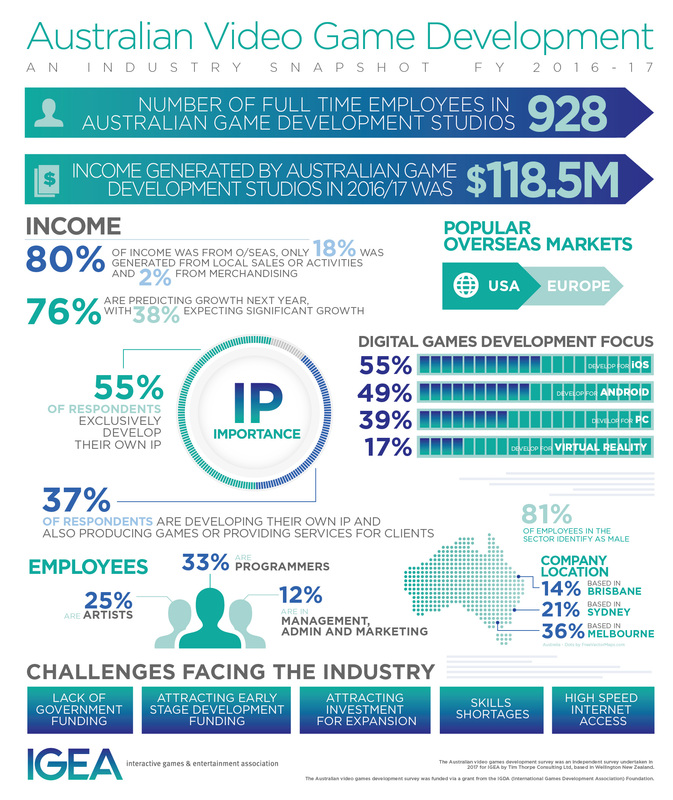 According to a recent survey from the Interactive Games and Entertainment Association (IGEA), 80% of the income generated in Australia’s game development industry came from overseas and that the majority of Australian games were consumed by those in U.S. These winners are helping prove to the world that Australia is a country that is producing some great, high quality games. Another winner from this year is also striving to promote greater diversity in gaming. Developer Sav Ferguson was awarded for That Boy is A Monstr – a game developed to give a voice to trans people in gaming. For more information on upcoming events for MIGW check out their official schedule.